This article attacks the view that global justice should be understood in terms of a global principle of equality. The principle mainly discussed is global equality of opportunity — the idea that people of similar talent and motivation should have equivalent opportunity sets no matter to which society they belong. I argue first that in a culturally plural world we have no neutral way of measuring opportunity sets. I then suggest that the most commonly offered defences of global egalitarianism — the cosmopolitan claim that human lives have equal value, the argument that a person’s nationality is a morally arbitrary characteristic, and the more empirical claim that relationships among fellow-nationals are no longer special in a way that matters for justice — are all defective. If we fall back on the idea of equality as a default principle, then we have to recognize that pursuing global equality of opportunity systematically would leave no space for national self-determination. 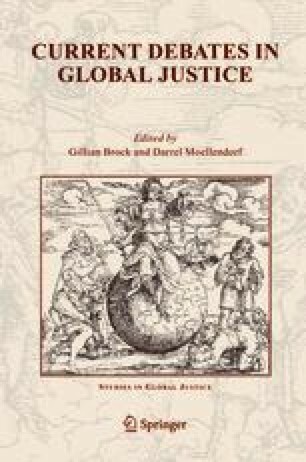 Finally, I ask whether global inequality might be objectionable for reasons independent of justice, and argue that the main reason for concern is the inequalities of power that are likely to emerge in a radically unequal world. I am very grateful to Gillian Brock and Kok-Chor Tan for their helpful comments on an earlier draft of this article.